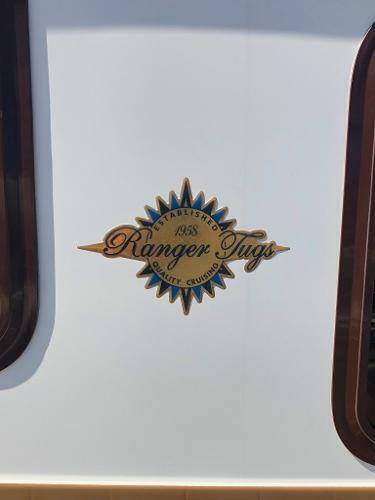 2013 27' Ranger Tug R-27 - another quality cruiser by Ranger Tugs equipped like a 40' boat for year round cruising and easy operation, but trailerable with an 8' 6" beam. 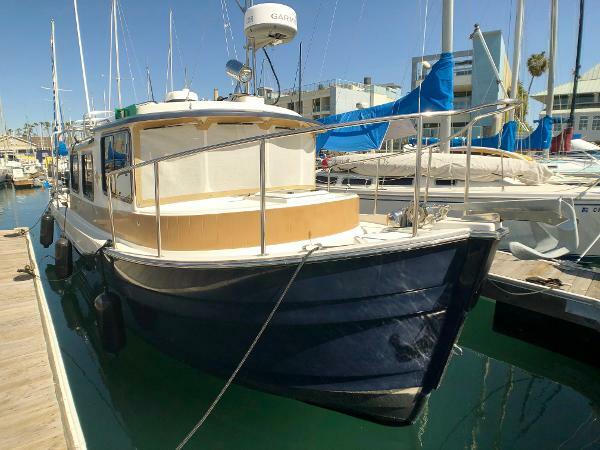 This boat is in beautiful condition with extensive renovation in 2018 (see specs for details). Built for cruising with couples in mind, but roomy enough for company. Perfect for the Northwest, the Channel Islands or the Great Loop. 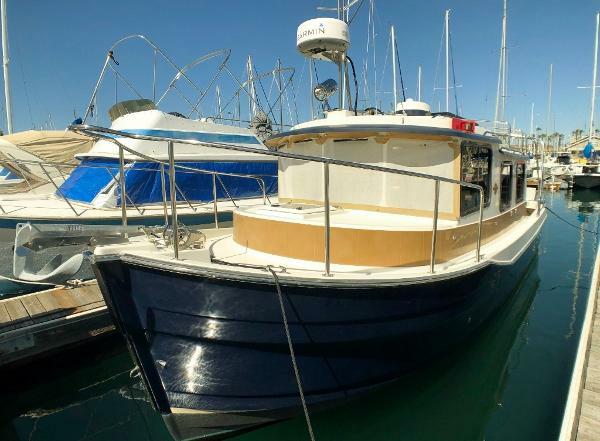 Maintained by knowledgeable owners who are looking to move up in size for long range cruising. Extensive list of design features and equipment for cruising or enjoying a day on the water. Single 180 HP Yanmar Turbocharged Diesel with low hours - engine pulled and lower end rebuilt in 2018. Engine access under aft cockpit keeps the noise down while underway. Bow and stern thrusters for ease of maneuvering. 2500 watt Mase generator with 86 hours powers the air conditioning/heater and electric stove. 140 watt solar panel powers everything else on a mooring or at anchor. Garmin electronics including Autopilot (with remote), GPS, Radar, Depthsounder. Sleeps 4 overall - 2 in the forward V-berth, 2 on convertible dinette and 1 single berth below the salon . V-berth is 6' 5" long with ample storage underneath. Interior upholstery replaced with Sunbrella canvas in 2017. Well-equipped galley with electric stove/oven, microwave, refrigerator, stainless steel sink and custom dish holder. The head has an electric toilet, glass vessel sink, and shower. 8' Avon and NEW 3.5 hp Mercury 4-stroke outboard available for negotiation. A trailer is not available.